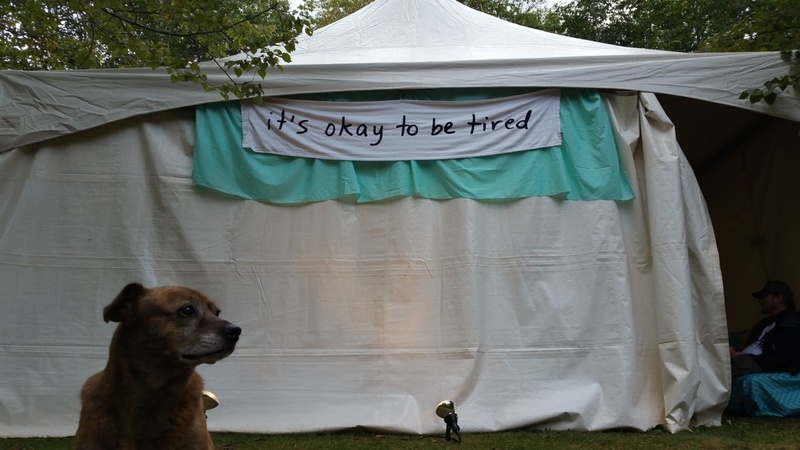 It’s okay to be tired examines the social aspect of yawning and the communal feeling of exhaustion many people in society experience largely due to capitalist productivity ideals and relentless, invasive digital devices and screens. 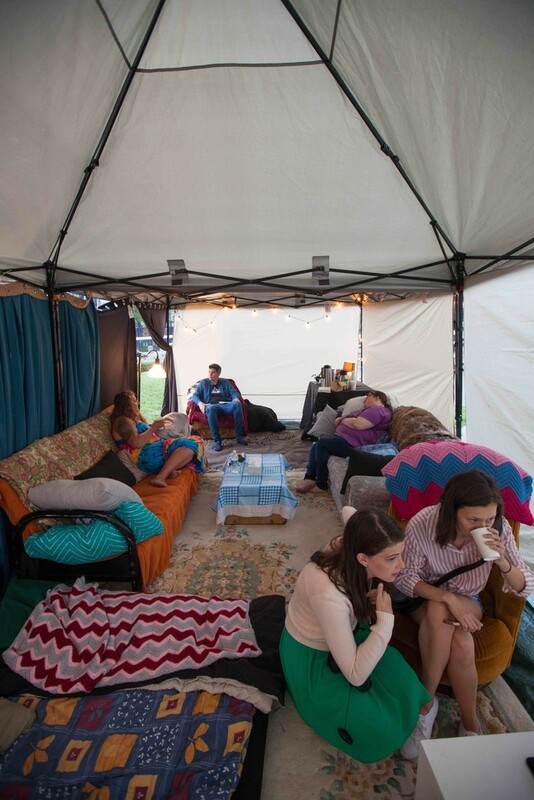 Viewers are invited to come inside and sit or lay down in the living-room inspired tent. 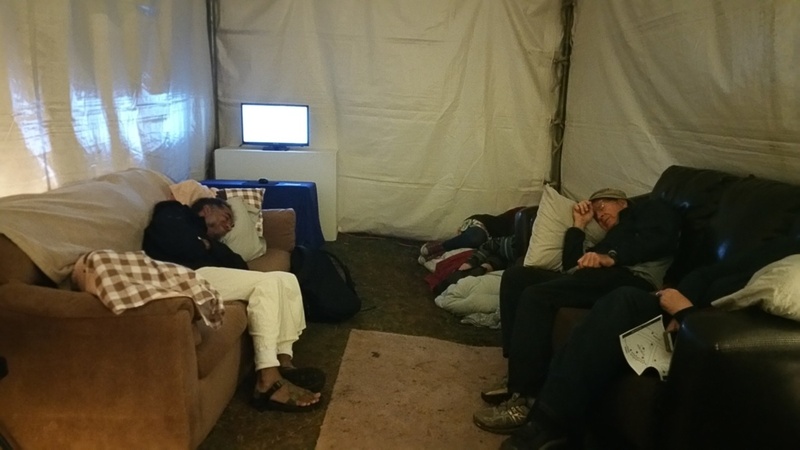 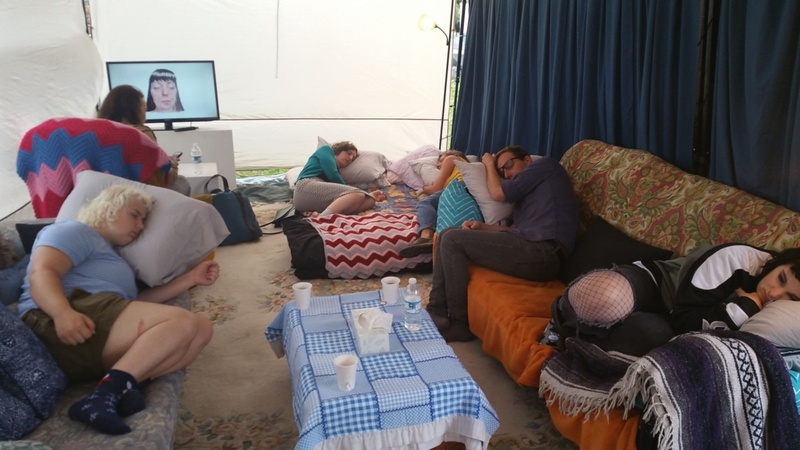 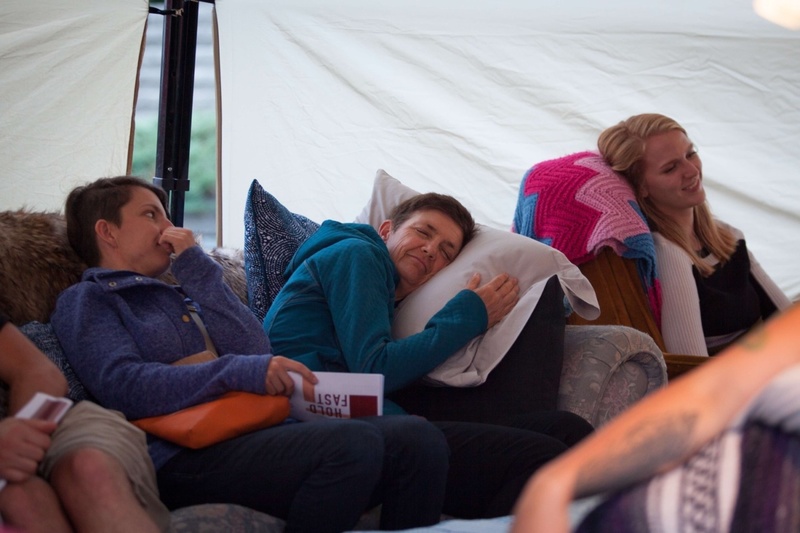 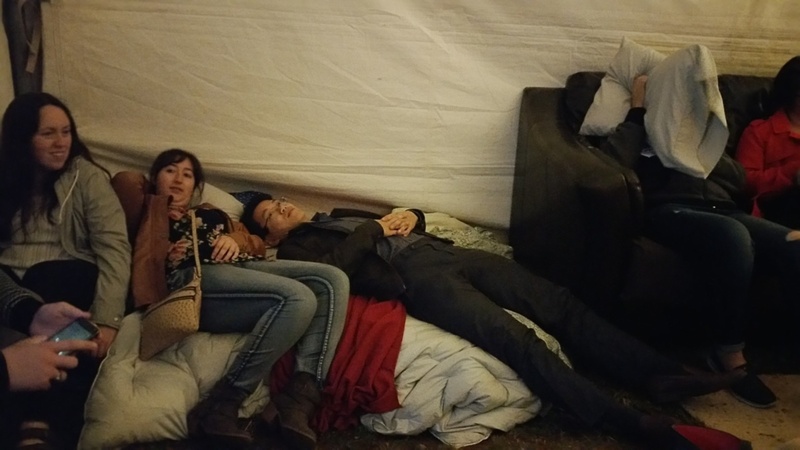 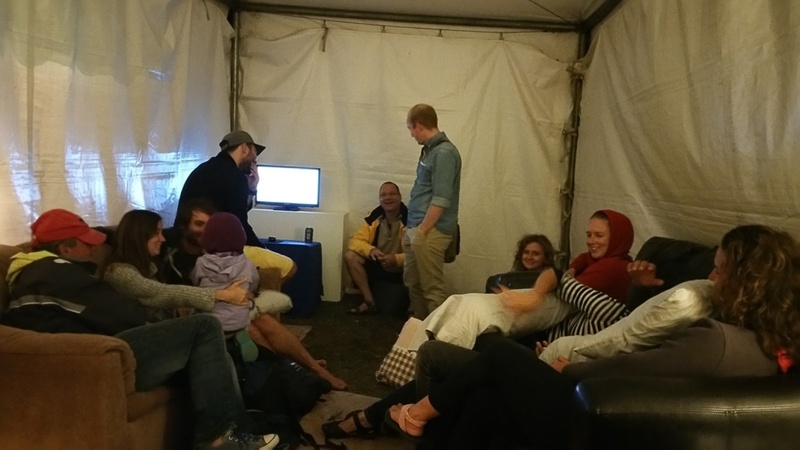 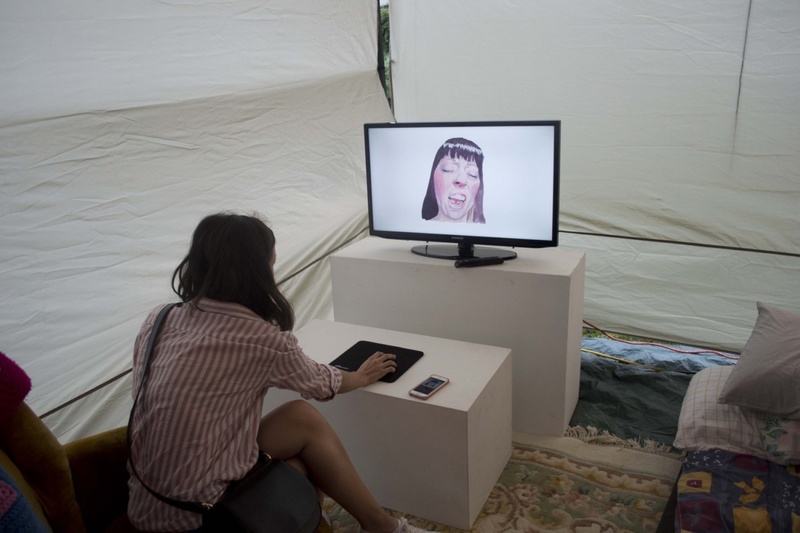 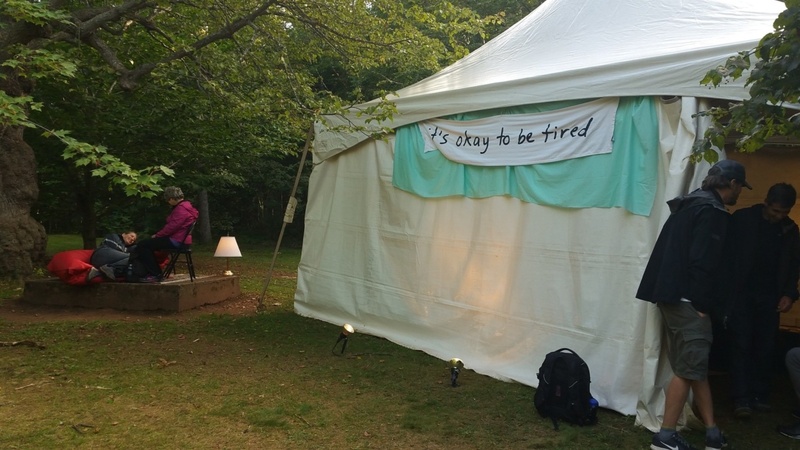 Holding various calming elements such as a tea station, pillows that talk when a head is resting on them, and a watercolour animation of a yawning face to interact with, the tent is meant to be a supportive and non-judgmental place to accept and contemplate tiredness as a social epidemic. 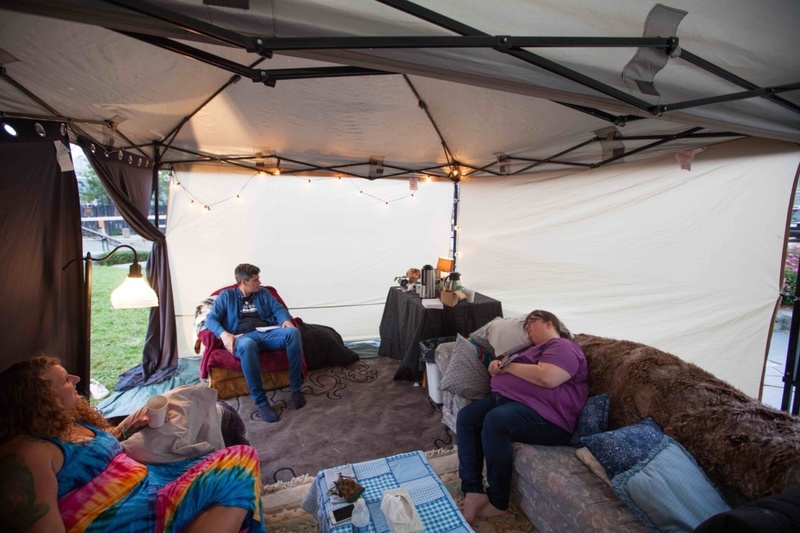 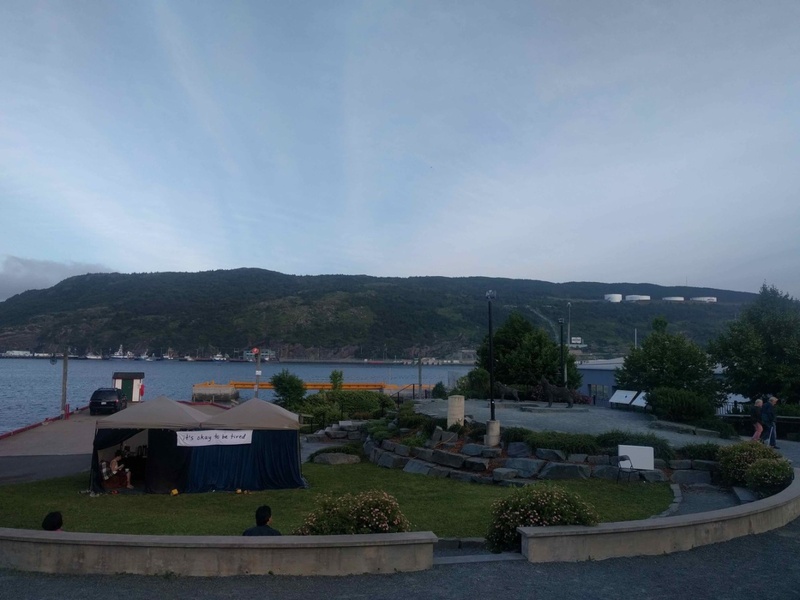 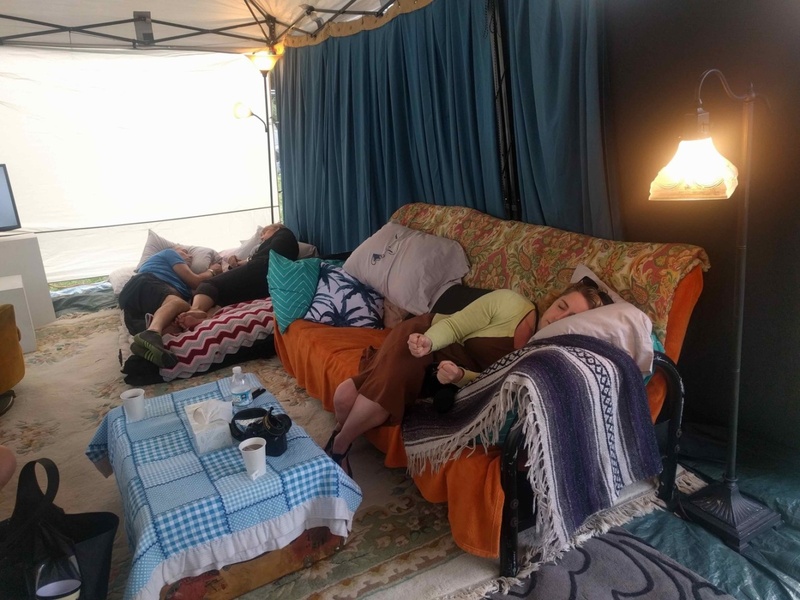 Calming sounds and music play throughout the tent as well, and are a combination of thunder storms April recorded, and music by Jake Nicoll, Michael Venart, and Leon White. 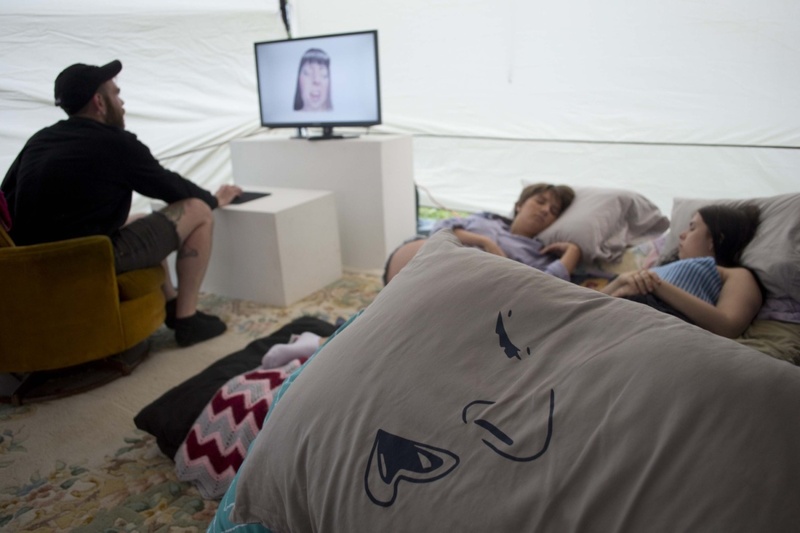 The talking pillows are inspired by a Laurie Anderson piece and play a recording of April White’s voice, reassuring that it really is okay to be tired and empathetically talking listeners through meditative exercises. 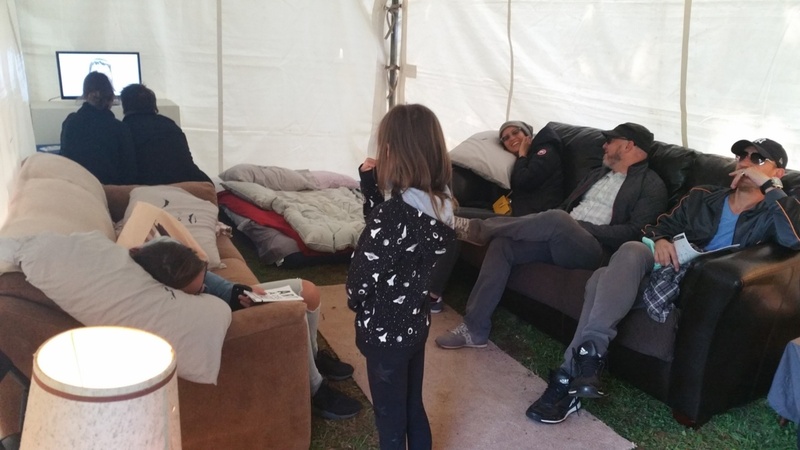 The pillows give listeners an “excuse” to take a moment for self-care and regeneration. 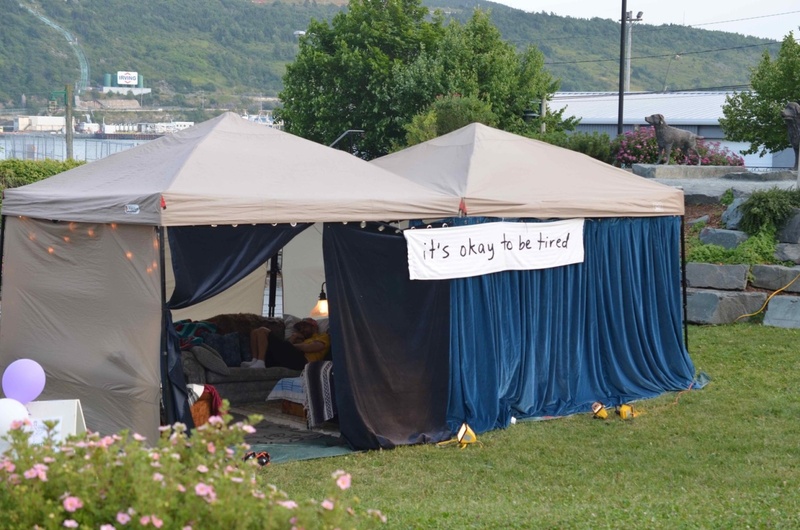 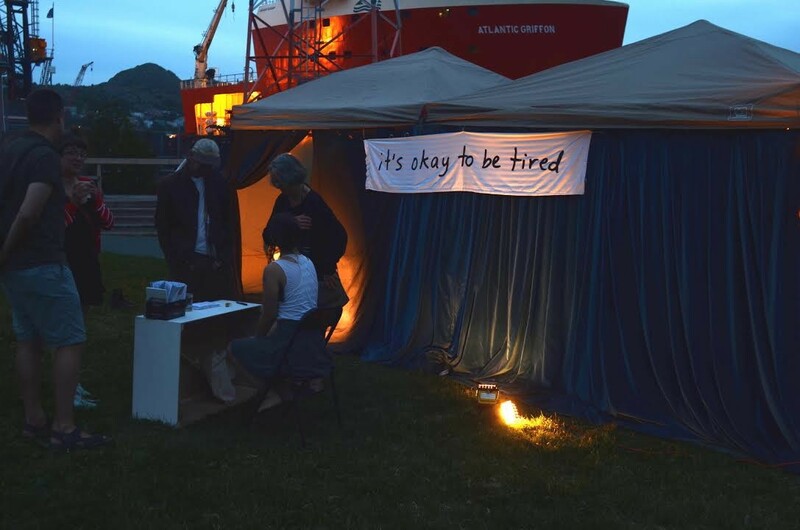 In August 2017, It’s okay to be tired was featured in the HOLD FAST Contemporary Arts Festival in St. John’s, Newfoundland, and the Art in the Open Festival in Charlottetown, Prince Edward Island. 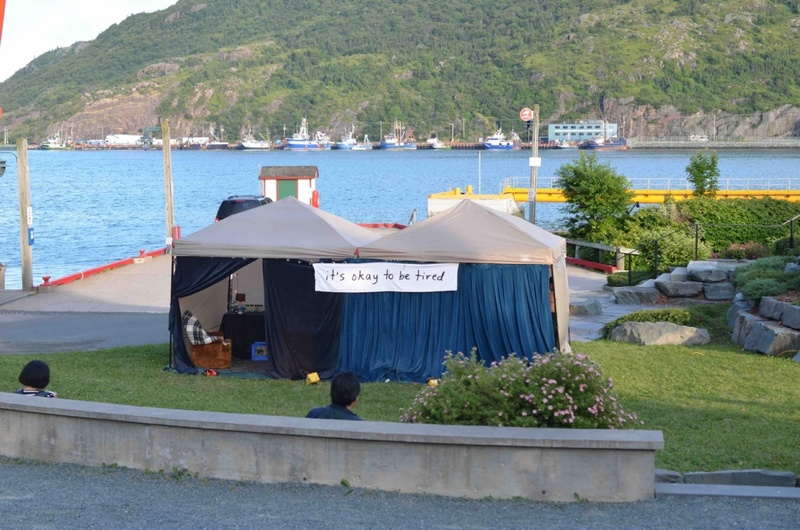 The photos below are from both festivals, see photo descriptions for details. 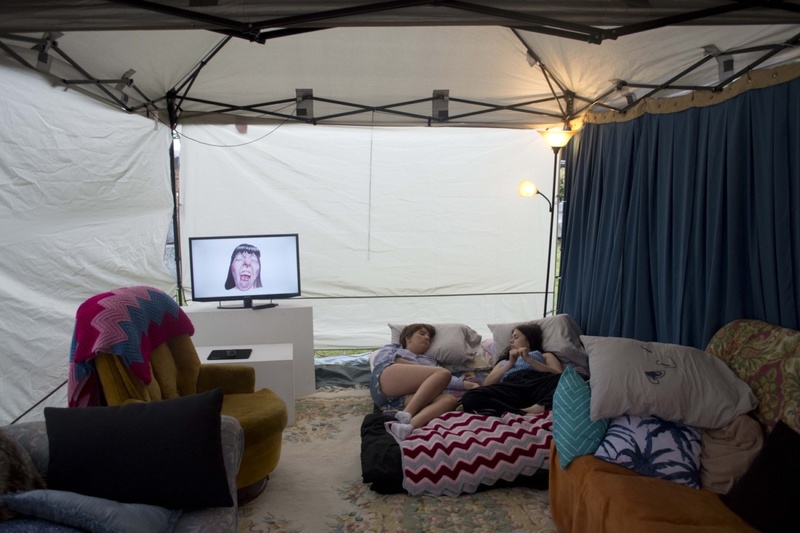 The Gathered Gallery interviewed April for HOLD FAST, here’s the interview.